Founded by an Architect and a Building Contractor in 1962, Janotta & Herner has embodied true Design Build Construction from the beginning. 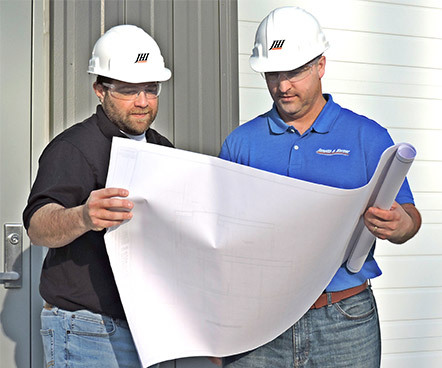 To us, Design Build Construction is more than just a building system, but a single source solution for all of your construction needs. We combine an exceptional team of Project Managers and Skilled Tradesmen with our in-house Design Studio, consisting of Architects, Engineers and Design Professionals, allowing us to create a comprehensive approach to building. Our dedication to true Design Build Construction sets us apart from the rest and provides a building experience like no other. As a true Design Build General Contractor, there is no part of the building process that we cannot complete. Our unique building team, paired with a “No Problem” approach to construction, allows us to take your vision and transform it into the building of your dreams while working with you every step of the way. There is no project too big or too small for our team to complete. Fill out the form below or contact us at 419-465-4611 to learn more!